The new SR520 floating bridge is seen looking west toward Seattle over Lake Washington. The environmental process evaluated project effects on diverse resources. 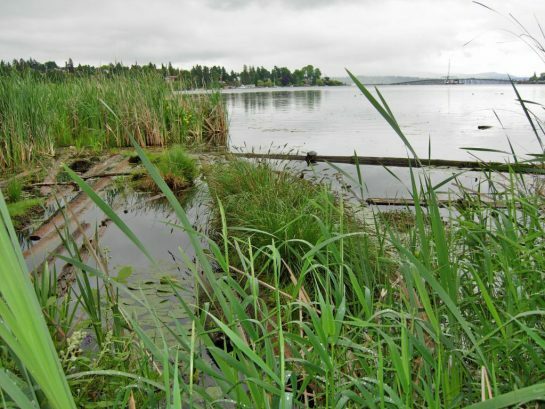 Mitigation plans restored 185 acres of habitat including at the Union Bay Natural Resources Area. 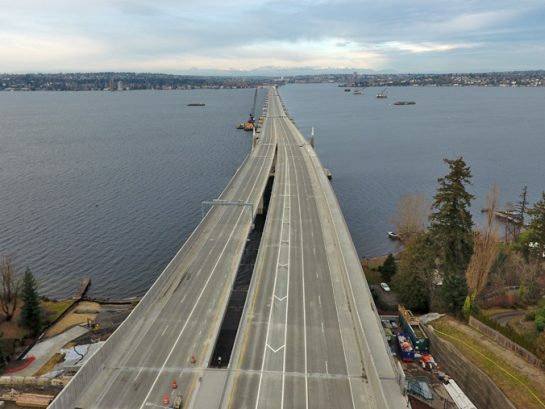 Washington State Department of Transportation (WSDOT) is replacing the State Route (SR) 520 bridge. The work is divided into three projects: West Side/Floating Bridge, East Side Transit and HOV, and Pontoon Construction. Confluence’s leadership in implementing the environmental strategy has enabled WSDOT to meet a very aggressive schedule for environmental project delivery on one of the largest and most complex projects in Washington. Confluence is leading the permitting, mitigation, and Endangered Species Act (ESA) compliance efforts on this $4.6 billion project, all in coordination with the NEPA/SEPA process. Roles include: Mitigation Technical Lead, providing oversight for mitigation planning, including strategy development and site construction; ESA Technical Lead, developing overall strategy for engagement with the Federal Services; and Regulatory Compliance Manager/Permitting Lead, coordinating with regulatory agencies to deliver the comprehensive set of documents needed to obtain the state, federal, and local permits for the three projects. Confluence is also a Cultural Resources technical lead, a key regulatory approval process element. The Program produced two separate environmental impact statements and one environmental assessment. Confluence developed the implementation schedule of the NEPA/SEPA work, provided technical discipline report contributions, and primary review support. The consistency between the NEPA, ESA, permitting, cultural resources, and mitigation analyses has been essential in timely delivery of defensible final environmental permits and approvals. Confluence completed numerous biological assessments, which successfully led to multiple letters of concurrence and biological opinions, as well as nearly 75 separate federal, state, and local permits, approvals, and modifications. 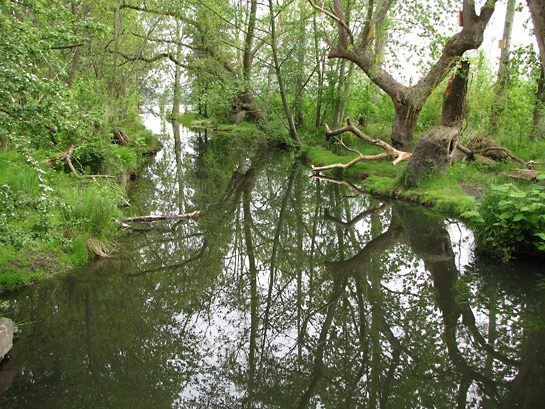 The work includes documenting project impacts and developing conceptual and final mitigation plans that document habitat restoration for 14 separate mitigation sites. In total, the mitigation plans restore approximately 185 acres of habitat, including a 64-acre estuary restoration and a 31-acre flood-plain wetland and stream restoration. Confluence also provided ongoing mitigation site construction support. Eight sites have been constructed as of January 2017. Currently, Confluence is providing ongoing management of a complex multi-agency permitting process for the project with the City of Seattle, WDFW, Washington Department of Ecology, U.S. Army Corps of Engineers, and Coast Guard. This work has included permitting several ancillary prerequisite projects such as studies and exploratory activities and integrating environmental requirements into construction Plans, Specifications, and Estimates. In addition, we are coordinating environmental compliance with construction activities such as environmental monitoring and fish exclusion. Specific results of this project include the following: (1) successful completion of the environmental process, including securing the permits and other regulatory approvals necessary to begin construction; (2) receipt of a favorable biological opinion documenting the results of the ESA consultation; (3) negotiation and implementation of sound mitigation plans that not only meet ecological objectives but also efficiently utilize public funds to satisfy mitigation requirements; and (4) successful ongoing support of multiple construction phases, including agency coordination and environmental approval revisions.